Our New Full Service Facility is Complete! At RV Country in Coburg, we strive to be your one stop shop for everything RV. Whether it's RV Sales, RV Service, RV Parts, RV Storage, RV Detail, or RV Financing - we'll be there for you! RV Country in Coburg opened in June 2010 in a GREAT location. 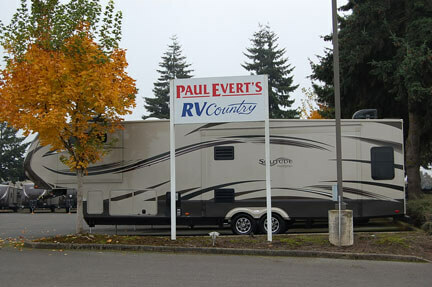 We offer a terrific line of RVs and travel trailers for sale at our Oregon location. Nestled in the mountains we are just across the street from Monaco RV Service, right off of I-5, and close to all the big cities like Springfield and Eugene!